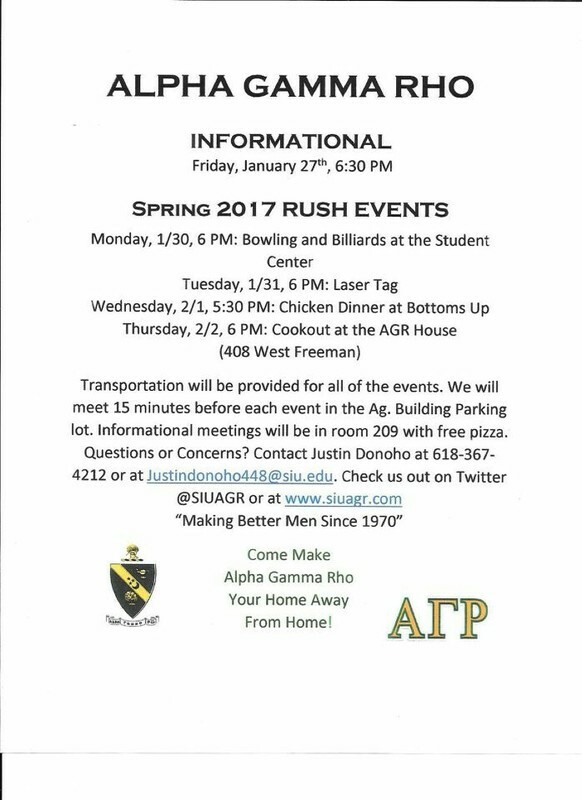 Spring Rush is taking place February 1st - February 5th! All men interested are encouraged to attend rush events! Contact Justin Donohue with any questions, comments, or concerns at (618) 367-4212. Fall Rush is in the process of being planned out. Check back for details on the dates closer to the start of the Fall Semster. Contact Justin Donohue with any questions, comments, or concerns at (618) 367-4212.